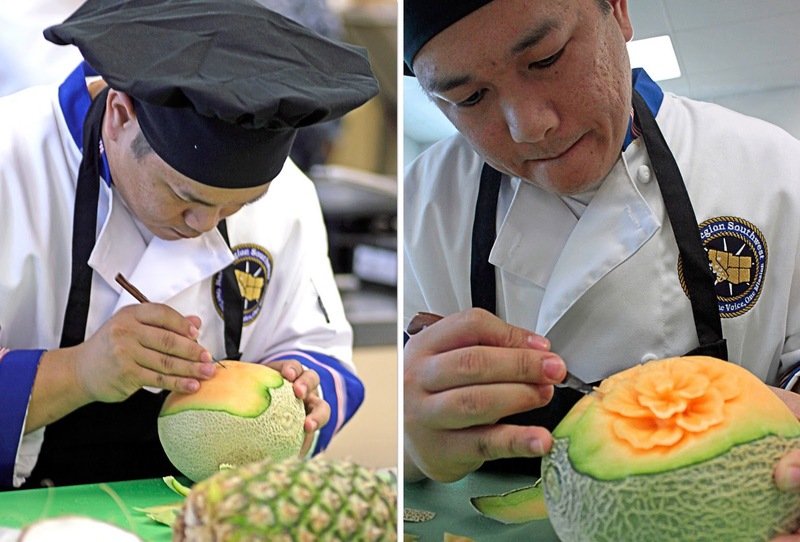 Earlier this week, Navy culinary specialists competed in the Fifth Annual Navy Region Southwest Culinary Competition, in the impressive, state of the art galley at Naval Amphibious Base, Coronado. 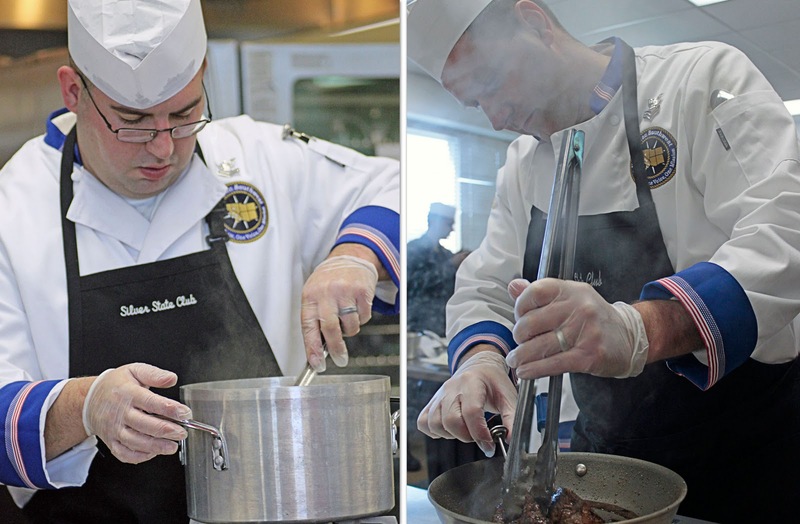 The galley reopened in December 2010, after nearly $9 million in renovations, and is one of the largest the Navy has to offer. It supports a staff of 30 Navy culinary specialists, and close to 30 civilian contractors, who prepare 2,400 to 3,000 meals a day for naval special warfare, basic underwater deterrence and special warfare combatant craft students. 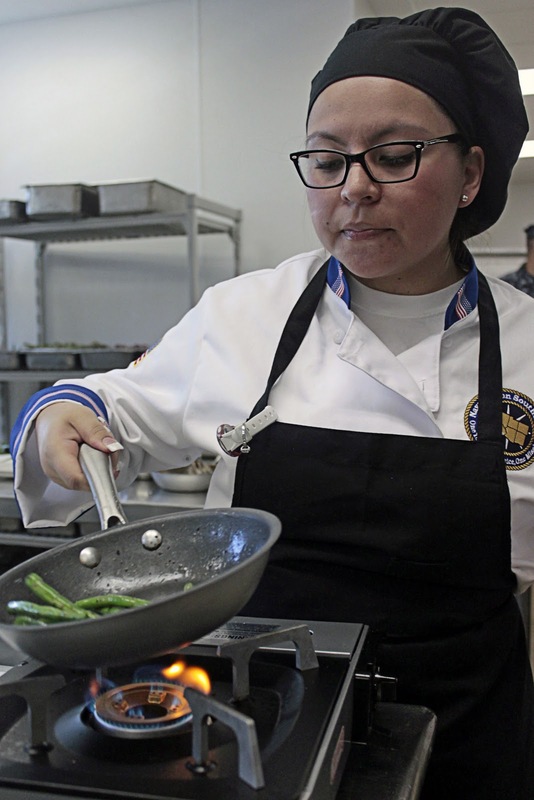 The competition featured six, two-chef teams representing Naval Base Coronado, Naval Base San Diego, Naval Air Station Lemoore, Naval Base Point Loma, Naval Base Ventura County, and Naval Air Station Fallon. 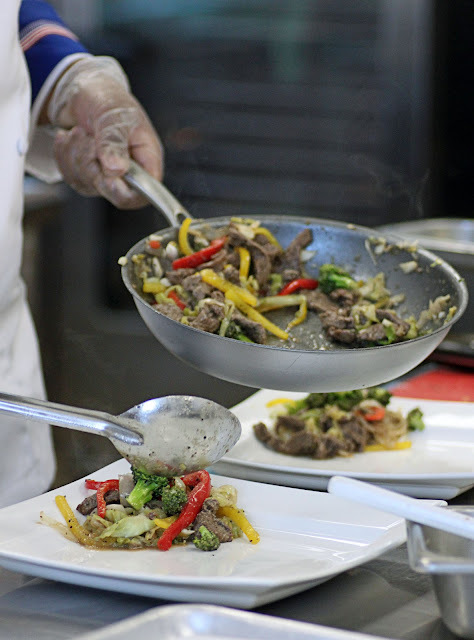 The chefs were allowed two hours to prepare and present entrées using beef tenderloin, chicken, and coconut milk, the secret ingredient announced just before the competition. 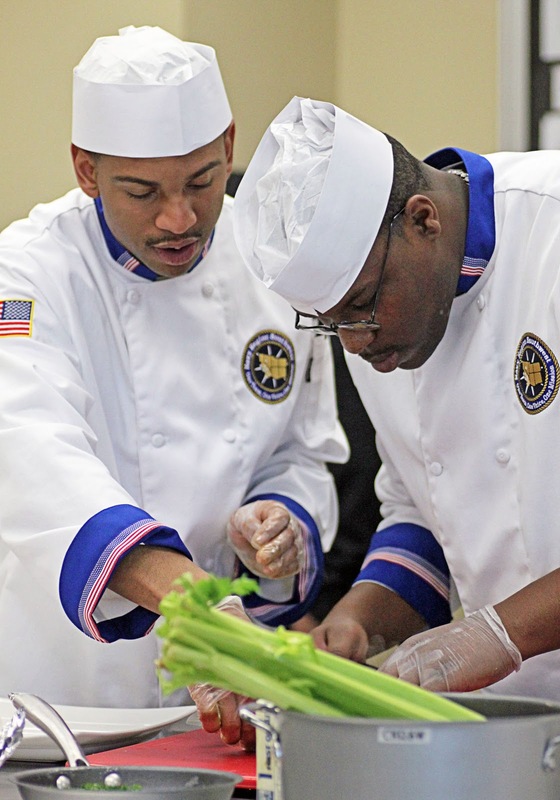 They were free to incorporate additional fresh produce and pantry ingredients provided. 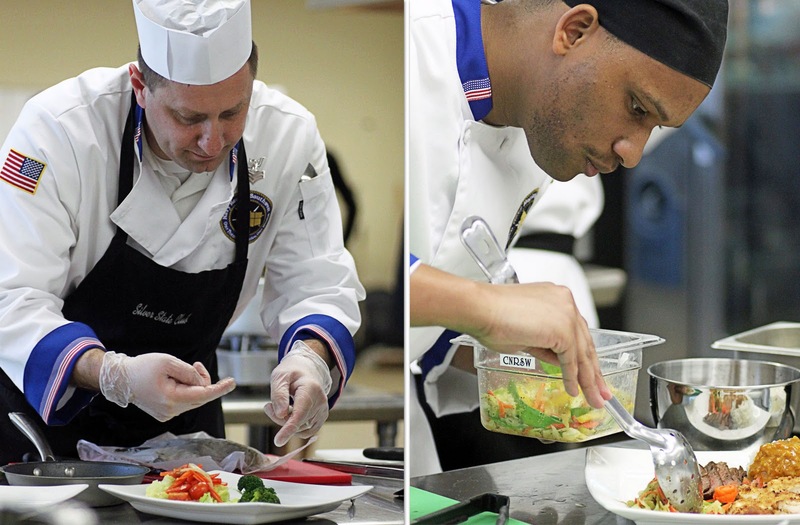 As the clock ticked down to the final minutes, the chefs remained calm and efficient during plating and final garnishing. 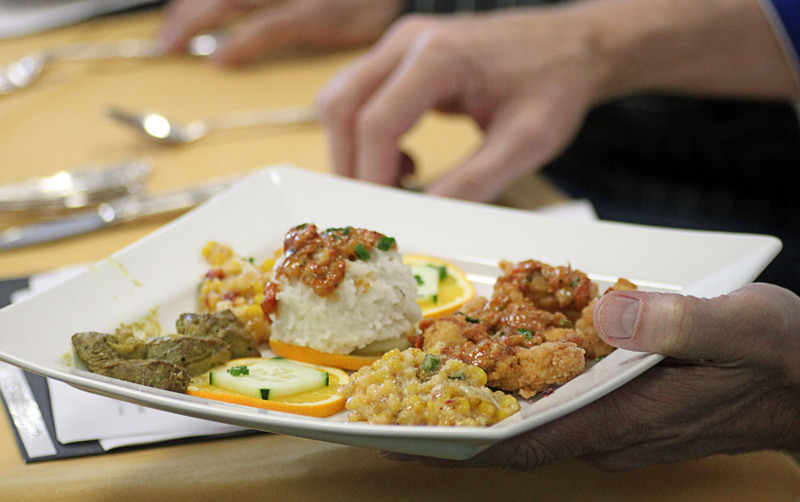 Judges evaluated and graded the teams’ entrées on presentation, originality, and taste. During the preparation, judges also observed the chefs in the kitchen, in order to evaluate knife work, cooking methods, and proper safety and sanitation. 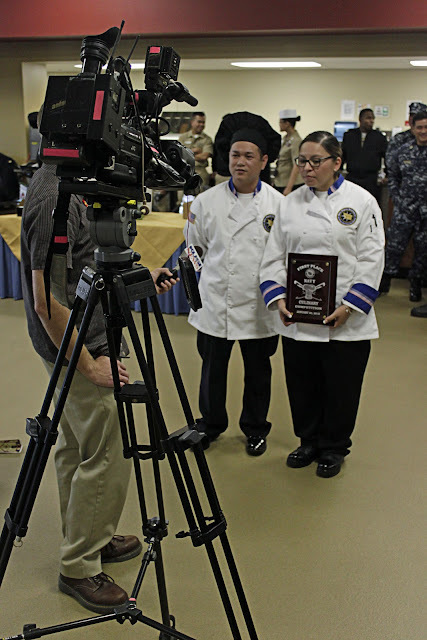 First place was awarded to Culinary Specialist 2nd Class Sophia Palafox and Culinary Specialist 2nd Class Ruel Sulandgi, from Naval Base San Diego, for their Beef Poke with Coconut Aioli, Poached Chicken Meatloaf, and Pineapple Coconut Rice. 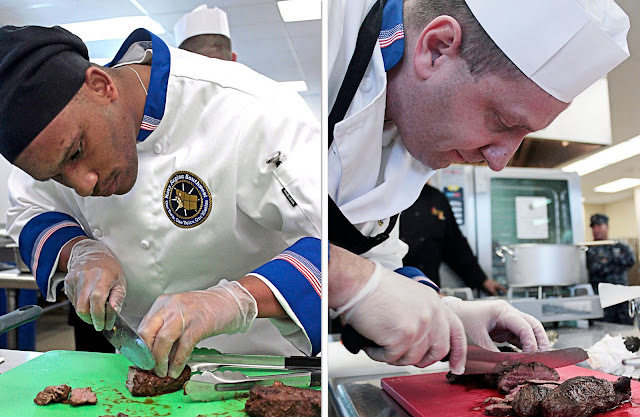 They move on to compete in the annual Commander, Navy Installations Command (CNIC) Culinary Competition later this year, in San Diego. Second place was awarded to Naval Air Station Lemoore (CS2 (SW) McGee and CS2 Jackson), and third place to Naval Air Station Fallon (CS1 Stinchcomb and CS2 Theodoru). 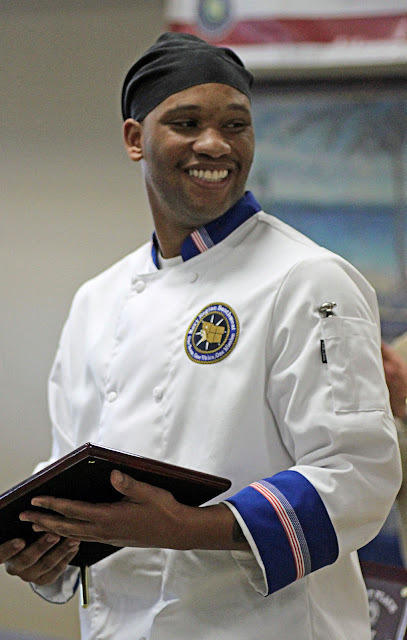 The first three winning teams were presented with engraved plaques. 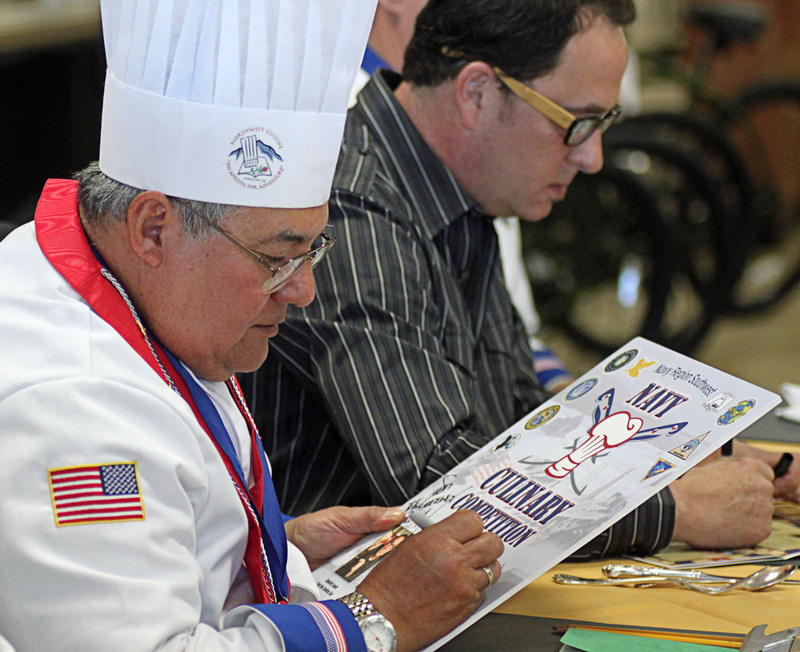 Additional prizes included bicycles, gift cards, knife sets, and garnishing kits. 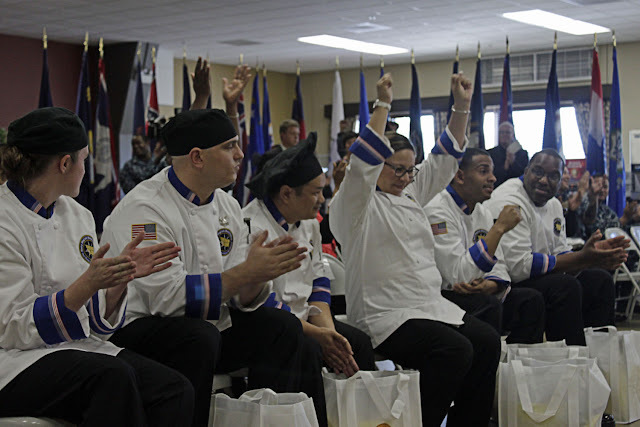 Special thanks to Steve at eCoronado, Chief Culinary Specialist (SW/AW) Jason Simmons, and Angelic Dolan, Naval Base Public Affairs, for the opportunity to attend and photograph this exciting competition. We tip our honorary chef hats to all Navy culinary specialists in recognition of their culinary talent and service. 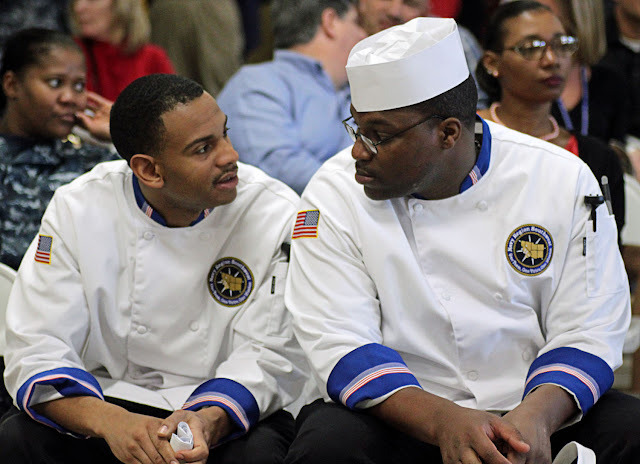 As reported by Mass Communication Specialist 3rd Class Michael Feddersen, Navy Region Southwest Public Affairs, the Navy's more than 7,000 culinary specialists (CS), deployed around the globe, feed on average more than 92 million wholesome and nutritious meals per year, ensuring the Navy's fighting forces operate at peak performance and are ready to respond to threats worldwide. 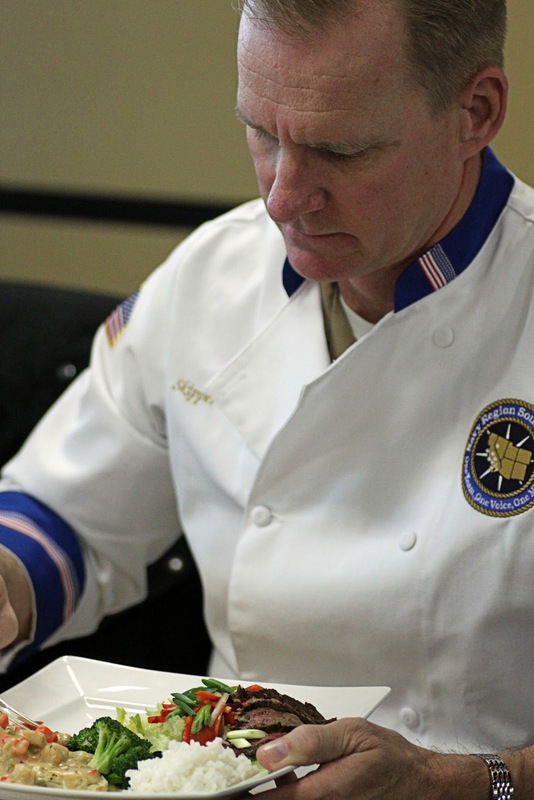 Navy commanding officers agree that nothing impacts Sailors on a day-to-day basis more than the food CSs prepare for them; they believe these top quality meals contribute directly to Sailor quality of life and morale. 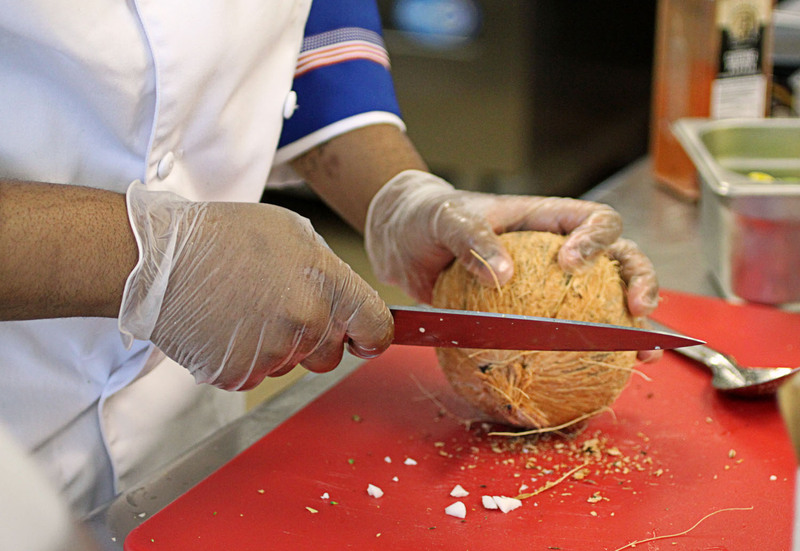 Today's CSs have greater culinary instruction than ever before. 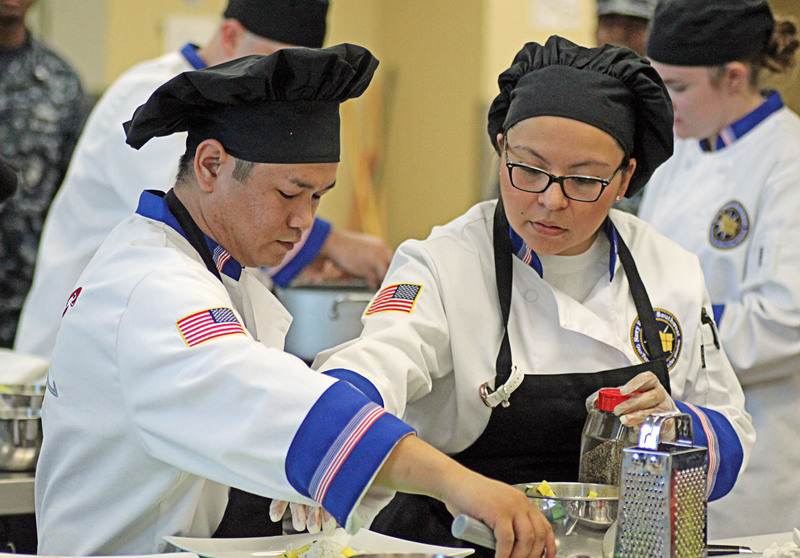 With even more advanced training on the way, Sailors, both afloat and ashore, can look forward to even healthier and better-tasting meals in the near future. Denise, thanks so much for capturing this event in words and photos. 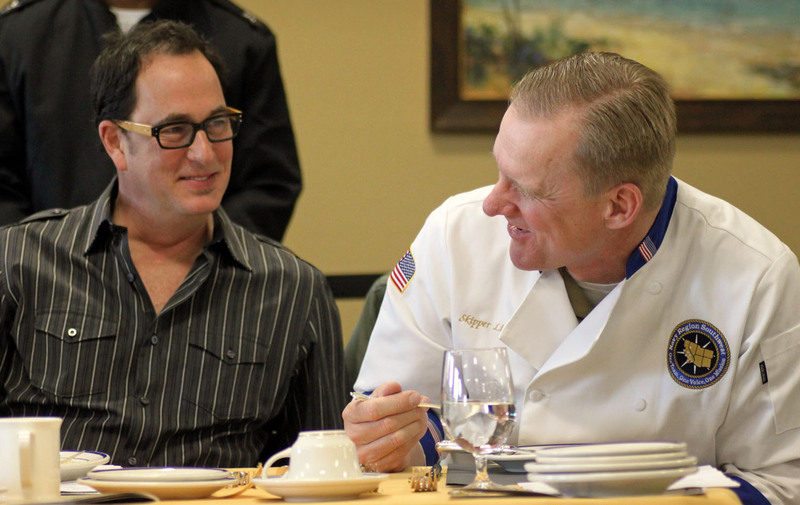 We loved all the details in the chef shots and of course the photo of Captain Yancy Lindsey and Sam the Cooking Guy. 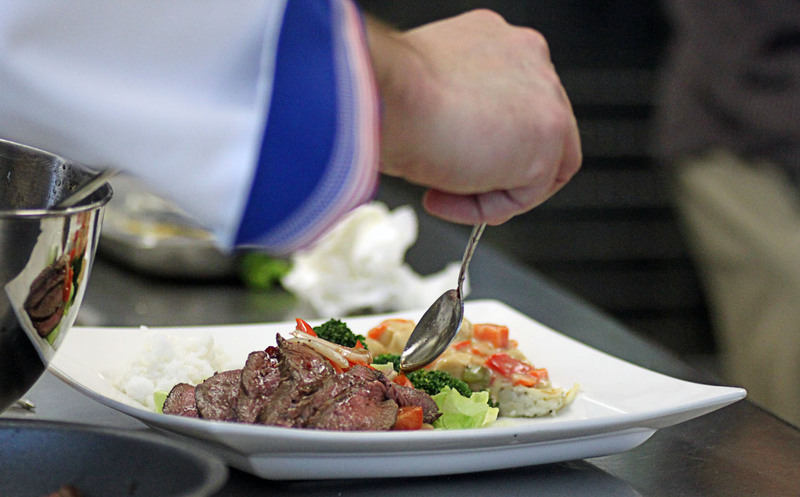 You have a wonderful talent of really capturing the moment - just wish we were there to sample some of that cooking! 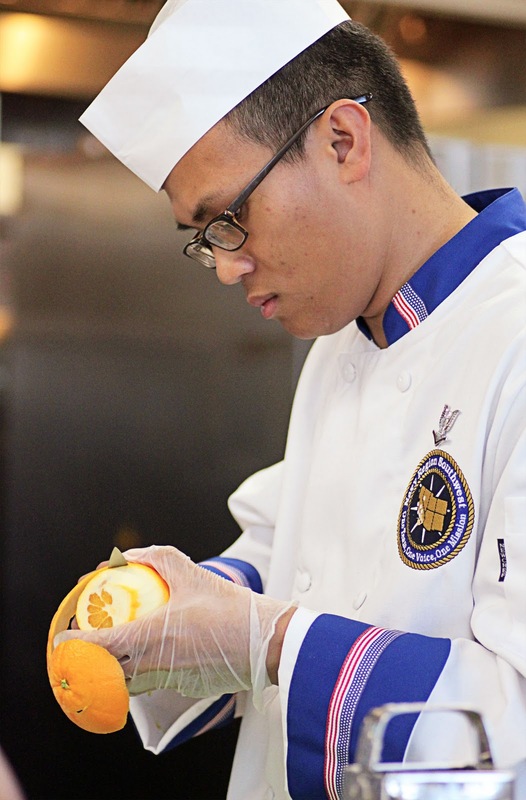 I love this article and all the pictures you took! 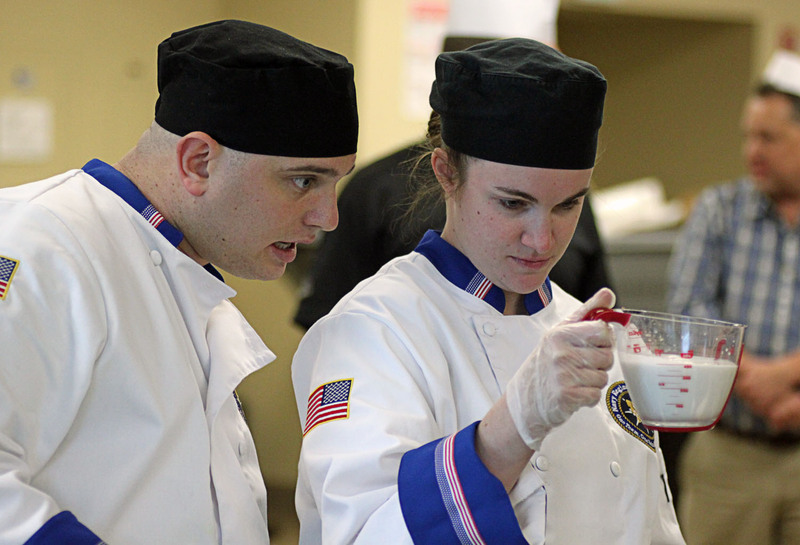 What a great event for our Navy's CS's to show their talent. 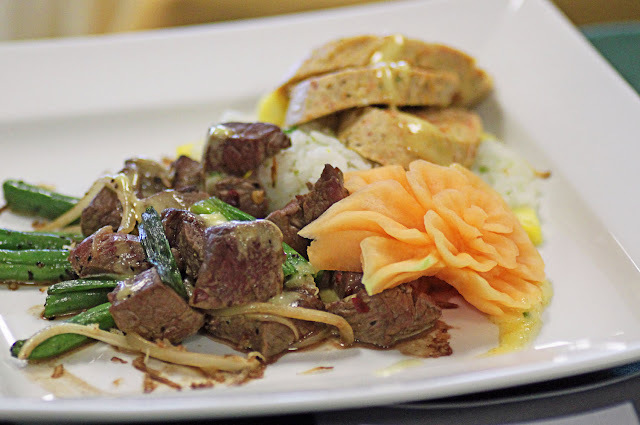 Thanks so much for posting this Denise.